Provide an instant direct connection between PE pipe to pipe laying equipment. The design is in use on many directional drilling rigs and is recognized as the most reliable connector available in the industry for more than 20 years. Insert directly into open PE pipe end without special preparation. Twist the eye and the grippers lock into position without the use of wrenches. Releases immediately on demand. Once set correctly, gripping power increases with pulling load. Pipe yield point is reached before failure can occur. Heavy duty construction in plated steel for rugged durability. Minimal maintenance and replaceable components. 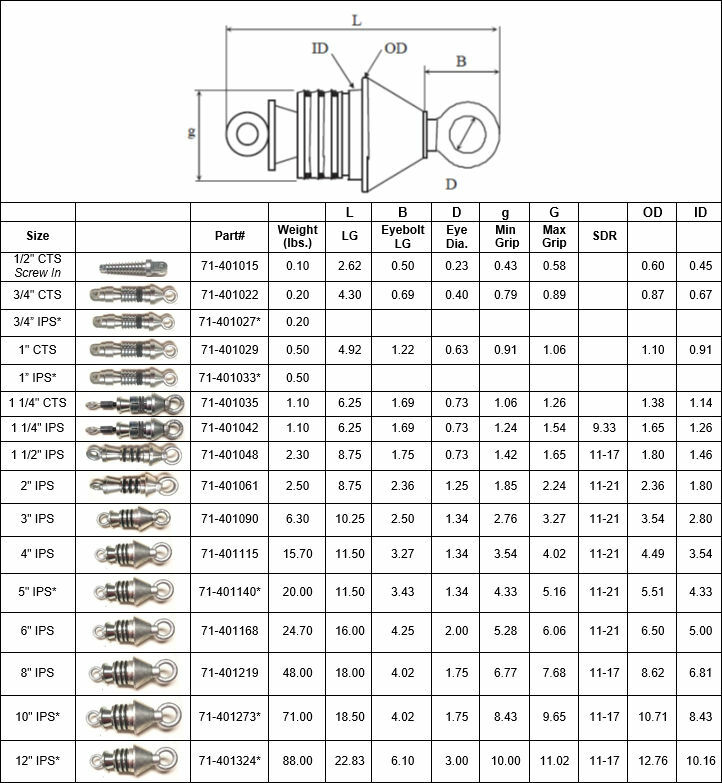 Standard 1/2" - 12" size range. Larger sizes available. Fits multiple SDRs (11 -17.6). 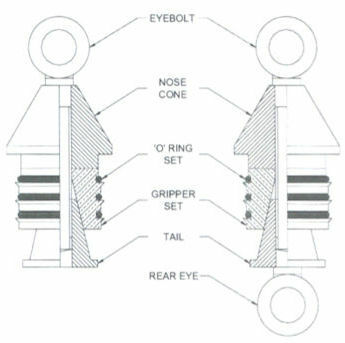 The rear eye can be used to pull cables or other conduits at the same time. Dimensions in inches and approximate, subject to change. Items marked with (*) asterisk are special order. Larger sizes available. Please call PLCS for details.